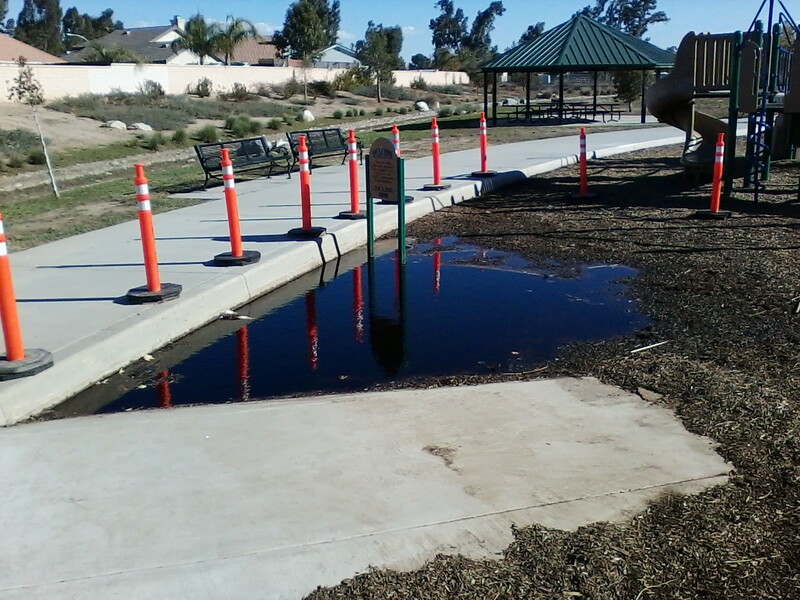 UPDATE: After attending a Measure Oversight Committee meeting on December 8, 2016 during which I brought up the condition of this Tot-Lot, I had to listen quietly to a sorry story of why this condition exist. 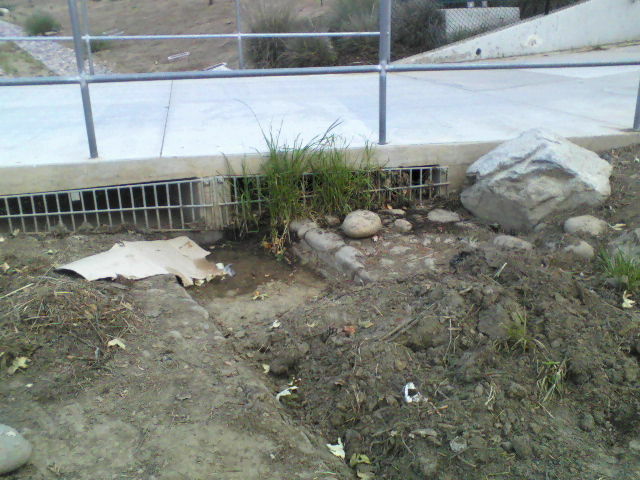 The story told was that this is a one-time event caused by the adjacent school. 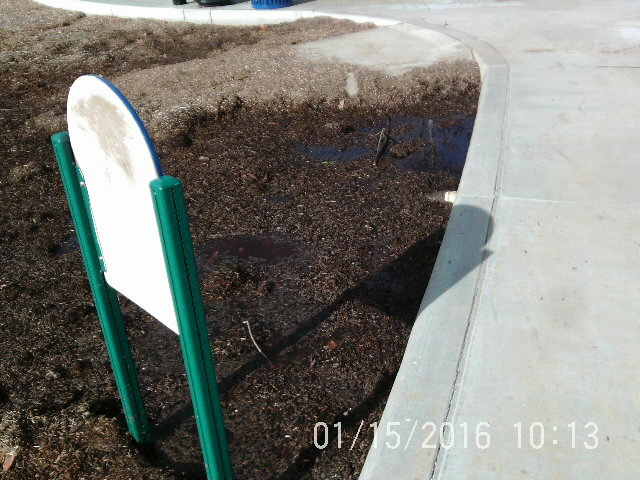 The following pictures show this event occurring several times in the past where the Tot-Lot drained within a couple of days. 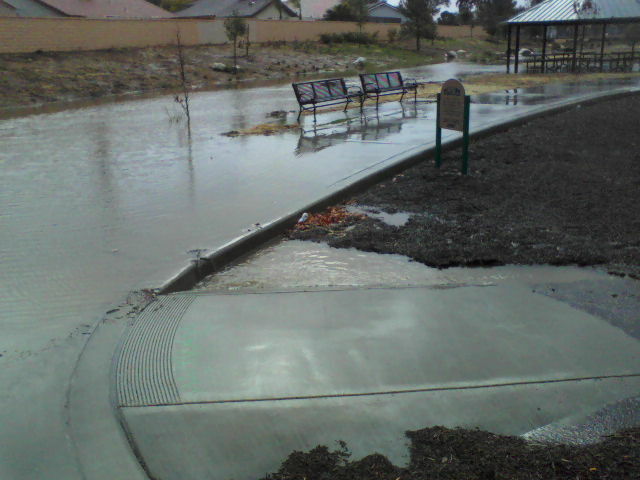 In all these past incidents this Tot-Lot drained within a couple of days. 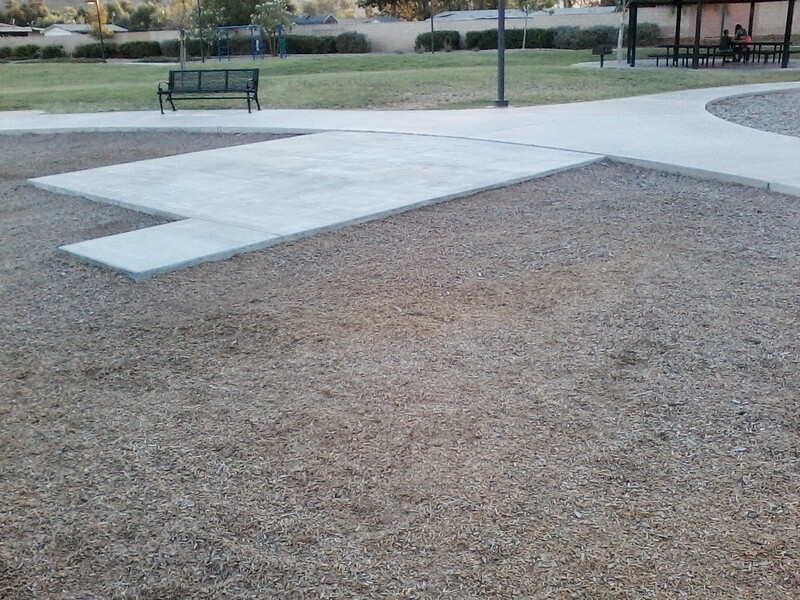 One would think that after 2 ½ years of of operating the parks in wildoslavia they would get it right. 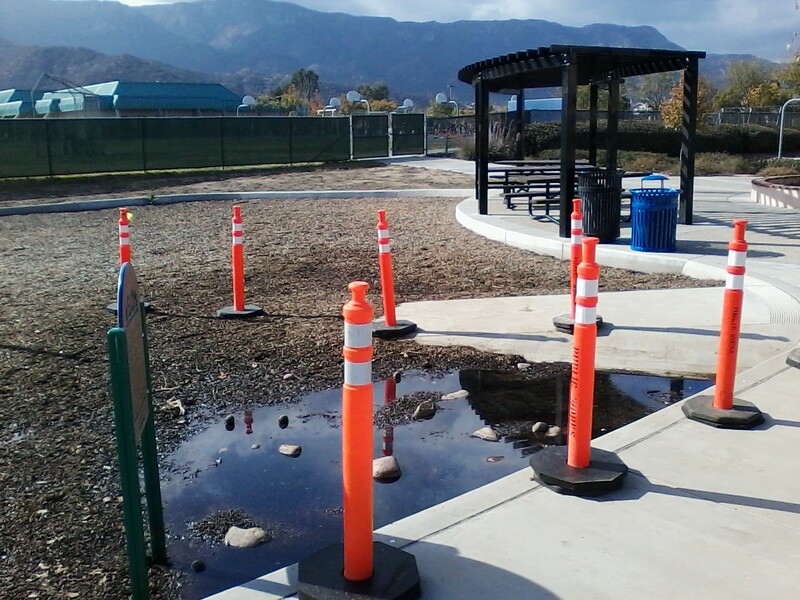 After the most recent rains, on November 26-27 which resulted in five-eighths of an inch, the drainage system ceased to function in one of wildoslavias numerous city owned Tot-Lots located in one of its three parks that service 35,000 plus citizens. 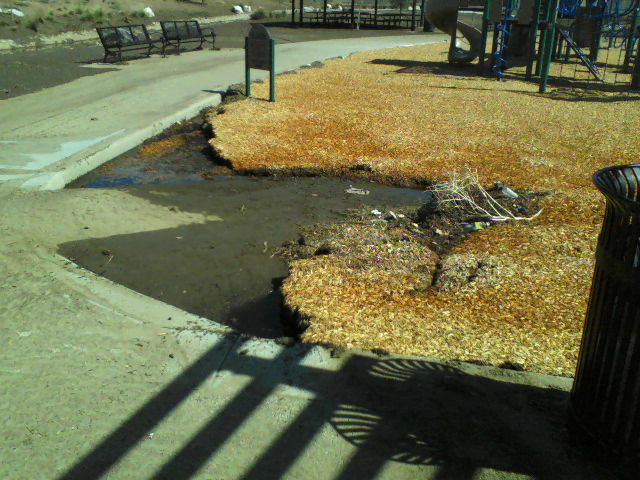 The continual flooding of this particular park anytime the city receives more than one-half inch of rain has been the result of poor maintenance of the passageway, since day one, for water under a bridge utilized daily by school children at the local elementary school. 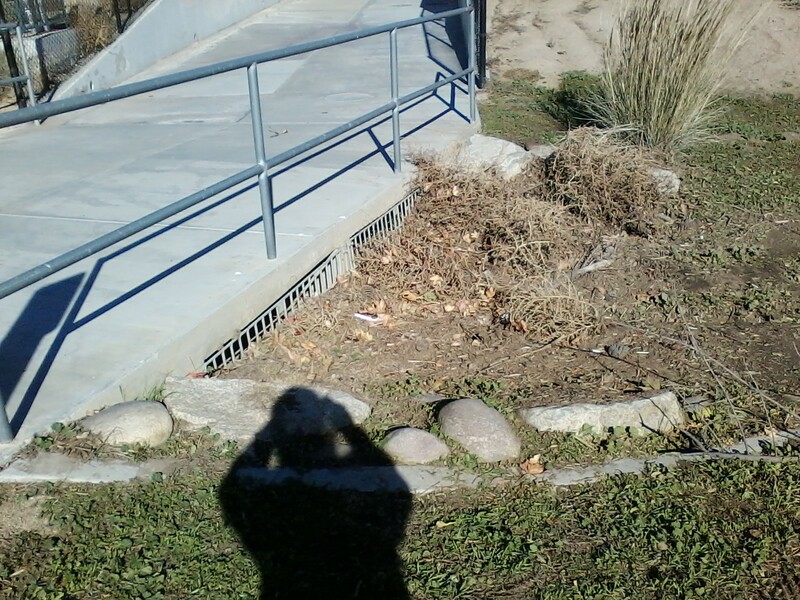 All of this has resulted in wildoslavia having now two Tot-Lots inaccessible to citizens that are physically challenged and requiring a ramp into the Tot-Lot. 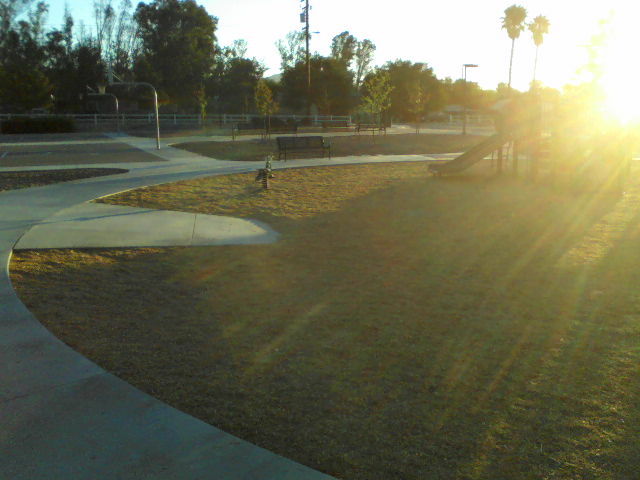 The other park is the city’s premier park where the ramp was destroyed. This entry was posted in Uncategorized on December 8, 2016 by Kenny.